We tend to make things simple over the summer and I don’t worry so much about organization and mess during the hot, easy weeks at home. I relax about having flip flops at the front door and extra things here and there. Now that summer is over and autumn is upon us I know we need to get organized and clean this place up. Snow boots and scarves and mittens and hats are too much to deal with on a daily basis and these things need a place to go. This freak snowfall we experienced in Calgary told me that now is the time to organize the stuff. I can’t live with our winter gear all over the house! Now is a great time to review your vision plan (take it one room at a time!) and make sure it’s all still working for you. I know my front entry way and back mud room are where my focus is going right now because those spaces just aren’t functioning. Everything is a mess and things we aren’t going to need for winter are taking up all the space. After revisiting the plan and getting into your spaces you’ll realize that some items just don’t fit any longer. I see the value in old junk – I’m sure you know that by now! So it’s hard for me to let go, but I just keep telling myself that if I keep it, it’s taking away from the vision I have for my space. That’s usually enough to get me to make the decision to pass an item on. Once you’ve decided what stays and what goes then gather things together and sort them in boxes based on where those items will go. Getting them gone? That’s the next step. Do you have a pile of stuff in your basement because you know you don’t want it anymore and you know it has value but you don’t know exactly where to take it? I make it to step 2 all the time and then the train stops and I think “I’ll figure that out later.” I hide stuff down in the basement and I hate throwing things in the garbage. Taking them to donate feels like a huge job and our recycling center charges big fees to get rid of small items. Here are three easy ways to get rid of your stuff. A) Swap Shop. Get some friends together. Bring some wine. Bring your stuff. Swap if for their stuff if you want it and if it fits your vision. Donate the rest. Get all the details on how to swap shop. 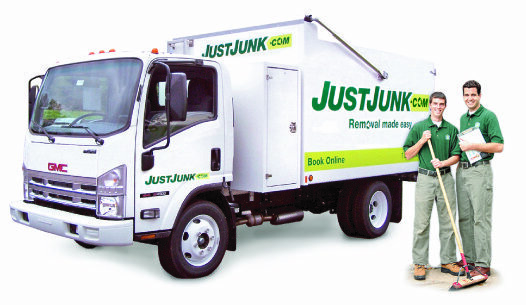 B) JustJunk.com. It’s so nice to point to a pile of stuff and say “take it away boys!” You can close your eyes and in a few moments it will be all gone! The great thing about Just Junk is that they recycle and reuse items as much as possible. The only things they don’t take are paint, flammables and hazmat. It’s free to get an estimate and if you book your job online you save $10 automatically. Instead of paying recycling fees to our eco-center, I can pay Just Junk to recycle it for me and not have to lift a finger. C) Garage Sale. There are still a few weeks of decent garage sale weather left so make use of them. Try selling seasonal items and put the cash in your holiday stash! This is how I’m convincing my daughter to purge from her room. She is unwilling to give toys away, even if she no longer plays with them, but I suggested that she sell some and use the money to buy new things and she was pretty excited by that idea. I hope this gives you a starting point for your fall organization. I’m excited to get things sorted out, reclaim some space and just make it easier for us to all get out the door in the mornings. I find that the better job I do in making things easy to find, the less I hear “Mom, where is my…” and I know I do a lot less “go find it! I think it’s upstairs!” Good luck everyone! Oh I have to go though all the stuff (junk) too at my place. We are having THE best September – it’s sooo hot & sunny! My cleaning will HAVE to wait. Sorry about your snowfall, we didn’t snicker once when we heard that over here…. We just went through all of this with our recent move. It was so enlightening getting rid of things. Donated a lot to Sally Ann! Great tips! It’s a constant process of assessing and purging in my house. A whole house vision is a great idea for guiding this process. There is definitely some “stuff” in drawers that survived the purge, but I don’t know why! Oh boy – what a great reminder to get organized! I am often a few weeks behind on the seasonal changeover, which has us rushing to the “off season” closet/rubbermaid bin in a panic for coats, boots, etc. Thanks for the push to get this done “ahead” of time for a change! This is such a hard one for me…why?? ?… it just seems like it never ends…thanks for the push to get started this season, I need it! 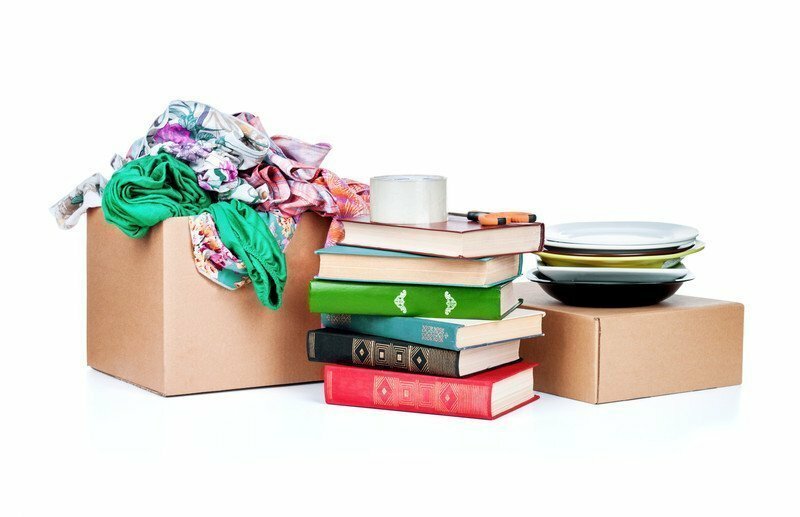 Having recently moved and now gearing up to do it again I can relate to how freeing sorting, purging and gifting of things can be. It makes you feel lighter and far more in control of your space. I used to think I would regret getting rid of things and every once in a while that does happen but, all in all the space, organized satisfaction and overall traffic flow improvements far outweigh any regrets!! Really great tips, and I like the approach to organize by season. It makes so much sense… as I trip over my flip flops and look for my boots! I’ve been doing a mental purge lately, but haven’t actually rolled up my sleeves. This post has inspired me to pick a room and get started! I donate a lot of stuff to charity, as well. I’ve never heard of Just Junk before, though. My basement needs them, thank you! Heather! I too am guilty of shoving stuff in the basement and “going back to it later”. Great tips on how to get rid of it without going totally crazy and feeling overwhelmed!